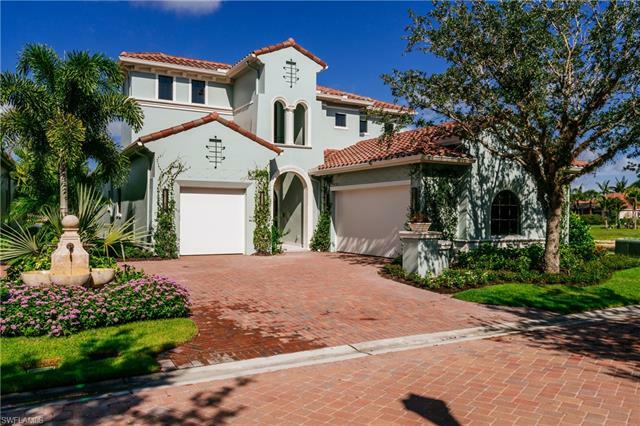 SPECIAL NOTE… Villa d’Este is, at this time, all new construction therefore there are currently no “listings” to view. Model homes, literature, and floor plans are all available. Please do call for more information. Villa d’Este is a community of only 12 single family villas that offers homes inspired by the iconic hotel on Italy’s Lake Como. The most modern technology is combined with quality construction in the homes being built in this private gated enclave. A view across the lake to the 18th fairway at Miromar Lakes Beach and Golf Club create an impressive setting to enjoy lavish living in one of Miromar Lakes’ newest communities. Home prices start at approximately $1.2 million. 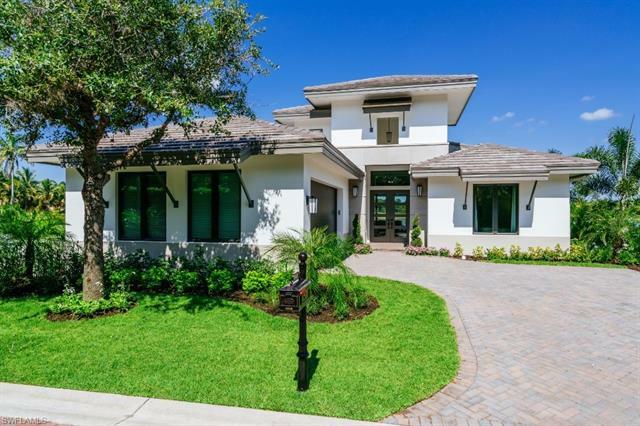 Homes in Villa d’Este are built by Randall Mitchell Custom Homes, a Naples, Florida based luxury builder. The company emphasizes comfort, beauty, efficiency and attention to detail to attract homebuyers who are looking for quality products and artisanship. The Greenbriar is a one-story home with three bedrooms, a den, three baths and one half-bath. The under air conditioning area is 2,709 square feet, but there are opportunities for lavish outdoor living with optional outdoor kitchens, pools and spas. This beautiful two-story home offers four bedrooms, a den, four baths, one half-bath and a three-car garage. The home’s total area is 5,267 square feet, with 3.665 square feet under air conditioning. Buyers can add their own customizations if the home is purchased prior to completion. The Oakmont includes a total of 3,976 square feet, of which 2,782 square feet are under air conditioning. The home features three bedrooms, three baths, one half-bath. The spacious floor plan integrates the kitchen, dining room and living area into a dramatic open floor plan. This is the largest model, with a total area of 5,537 square feet, of which 3,882 square feet are under air conditioning. The two-story home features five bedrooms, a den, four baths, one half-bath and a three-car garage. All of the villa homes are equipped with technology features that include pre-wiring for telecom/data, cable and satellite. An Internet accessible security system protects all windows and exterior doors. In addition, the home comes with an Apple™ iPad that has been pre-programmed with all home control systems. Lush landscaping and custom architectural elements set Villa d’Este apart from the crowd. It’s an outstanding location to enjoy the world-class amenities at Miromar Lakes. There are new construction opportunities in Villa d’Este, and if there are resales you can see them below. Find out how to get the best deal when purchasing a new construction home! If you are interested in homes for sale in Villa d’Este, call me at 239-898-6865, or send an email for more information. As a Miromar Lakes specialist, I can help you determine if Villa d’Este is the best place for you to establish your next home.